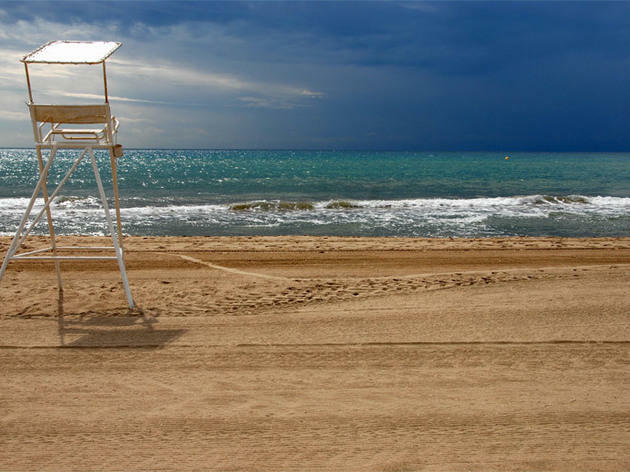 Barcelona boasts enviable weather nearly all year round, even after summer's over. Autumn is also a great time to enjoy the beach and keep that holiday feel going. Autumn means the sun isn't as strong, which can be a benefit when doing sport or exercise. 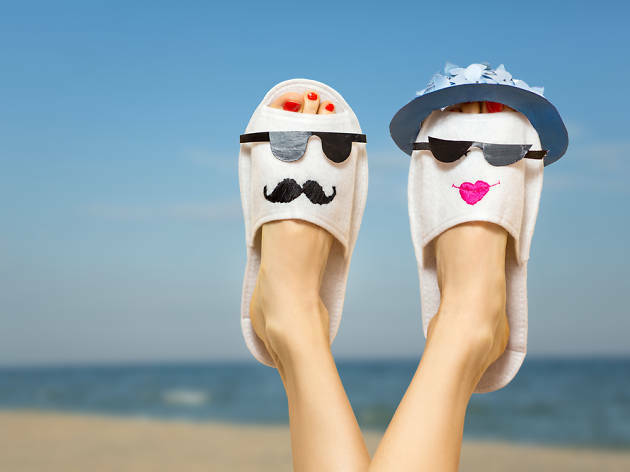 If you like the feeling of sand between your toes and the sound of the sea in the background as you get your body moving, autumn is the perfect season to enjoy the beach. 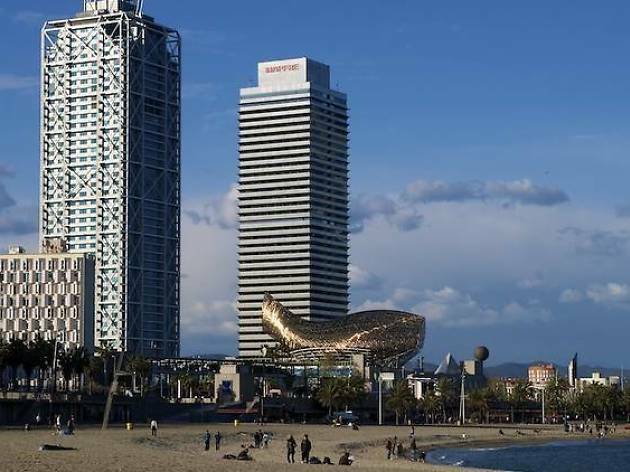 From the W Hotel on up past the Fòrum you can find volleyball nets, korfball baskets, football goals and gym circuits; as well as groups doing yoga, running along the sand and playing beach tennis. The good weather and fewer crowds contribute to ideal conditions for staying active at the beach after summer. If you're the type who's spent the whole summer working on a tan all your friends will envy, autumn brings your maintenance plan. In Barcelona there are sunny days all year round, so you don't have to worry about your skin going ghostly just because you've gone back to work. The autumnal sun isn't as spicy-hot so there's less of a chance you'll end up like a lobster. September, October and November are quiet months at the beach, so it's easy to find a peaceful place to spread out your towel and relax. And if you're lucky enough to have time to get to the seaside on a weekday, even better! 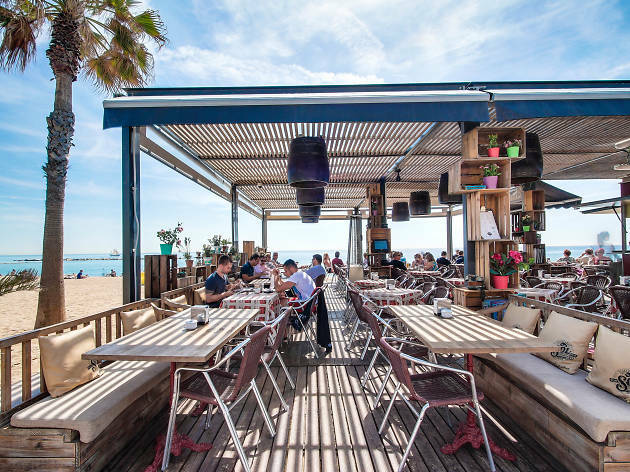 Barcelona's coastline offers some great 'xiringuitos' – the snack bars you see dotting the beach – where good food, drinks and music make any day a great one, whatever the time of year. Spots right on the beach such as Vai Moana, Bambú, Blue Beach and La Deliciosa (all part of the Pantea Group) serve up quality and varied dishes and drinks for all tastes and budgets. 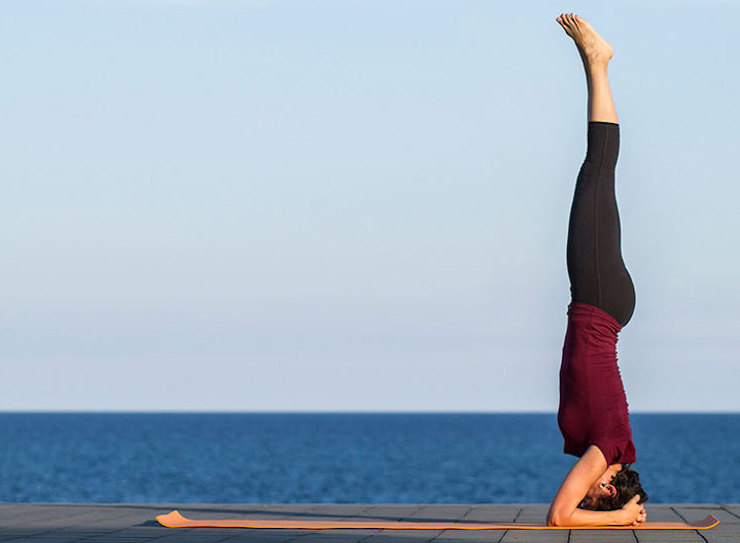 Head to the beach in autumn for breakfast with fresh juice, to have a vermouth before lunch, for a few beers in the afternoon, or for a bite to eat anytime. If you like to stroll along the boardwalk by the sea, you can make the most of your time by also taking in the various works of art and architecture along the way, in addition to museums. 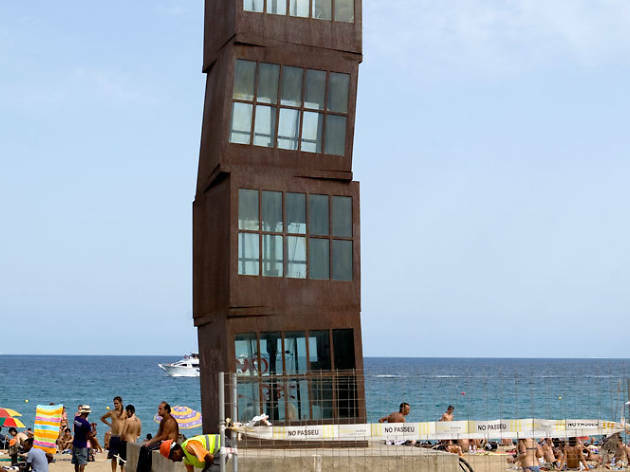 Sculptures such as 'David and Goliath' and 'Marc' in Plaça dels Voluntaris Olímpics, 'The Wounded Shooting Star' (pictured), and 'The Fish' by Frank Gehry in Barceloneta. You can also gaze at artworks 'A Room Where it Always Rains' in Plaça del Mar, and 'Stargazer' and 'Gambrinus Lobster' in Port Vell. 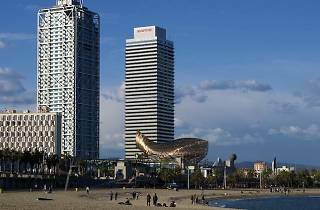 You'll also come across monuments such as the Clock Tower and the Columbus monument, as well as museums including the Museu Blau and the History Museum of Catalonia. 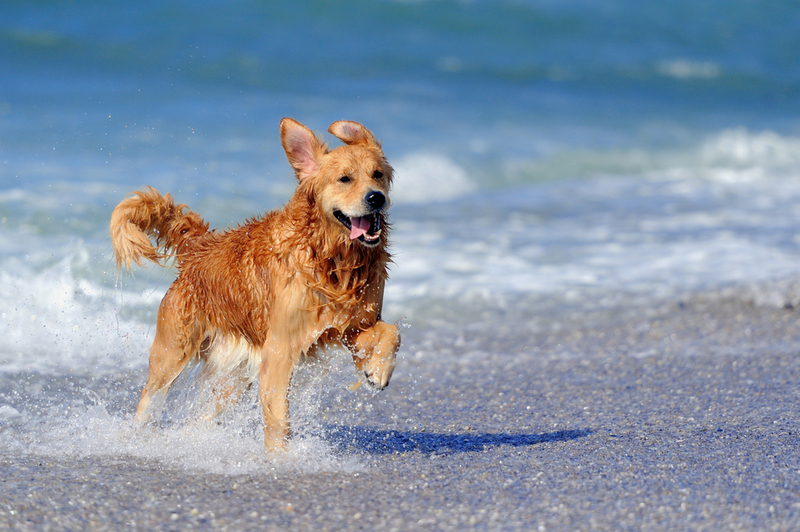 Some visitors can't leave their beloved pooch at home while they're off enjoying their holidays. If you're such a person, or a Barcelona local with a dog, you know taking your best friend to the beach is always fun for you both. And even more so in autmn, when it's not so hot, there are fewer people around, and there's more space for Rover to run. 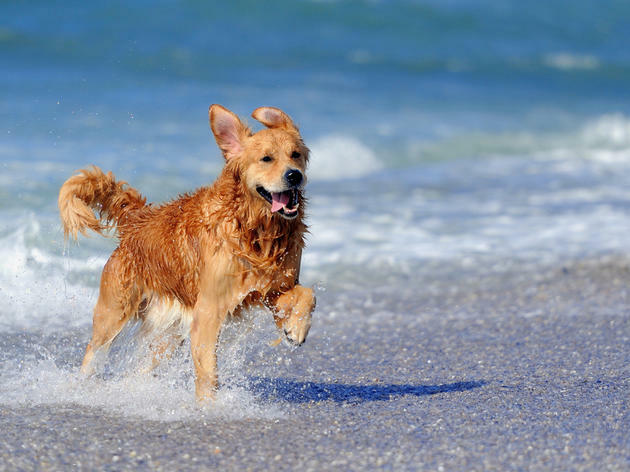 Before you unleash your dog to the salty and sandy elements that you're sure to bring home with you, be sure to find out which beaches allow your furry pet, because not all do. 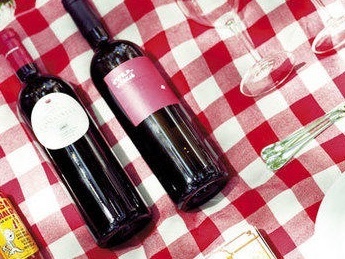 What better way to enjoy the fine autumn weather in Barcelona than having a picnic in the afternoon with friends or family? All you've got to do is grab your favourite foods and drinks, and Mother Nature will provide the perfect ambience. 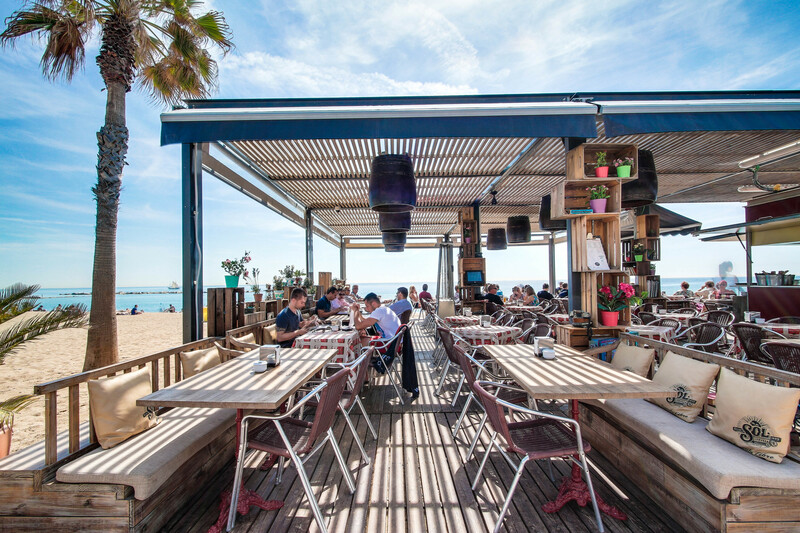 Beaches such as San Sebastián, La Barceloneta, Nova Icària, Bogatell and Mar Bella, among others, will more than meet your expectations for a relaxed afternoon outdoor feast. 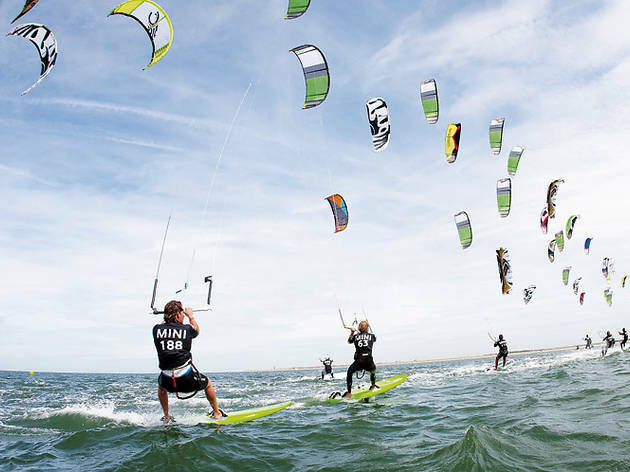 Just because summer has come to a close doesn't mean maritime sports are out of the question. 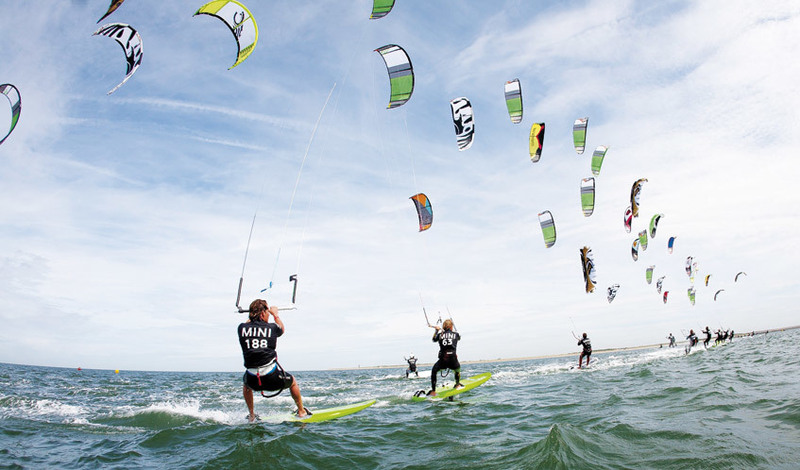 In fact, autumn is the best season for surfing and some of its kin in Barcelona. The waves are more robust and the sea is in full swell. Schools such as Box Barcelona and Pukas Surf offer lessons and all the required equipment for you to slide along the sea. Autumn is also a great time of year for anyone who likes to swim in the open sea or enjoy other sports such as kayaking. 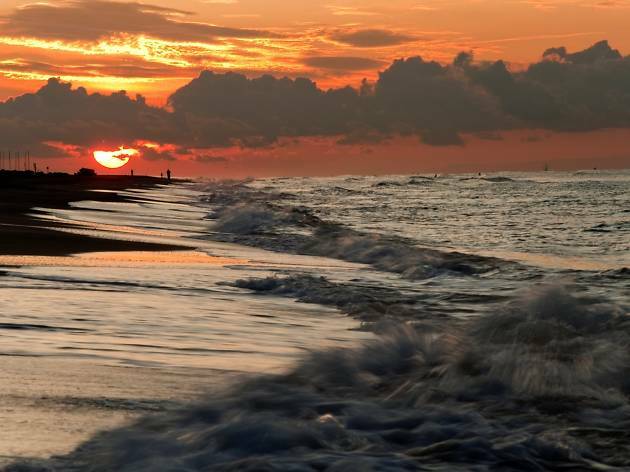 They say there's nothing better than a stroll along the shore to disconnect your mind from everyday problems and stress. 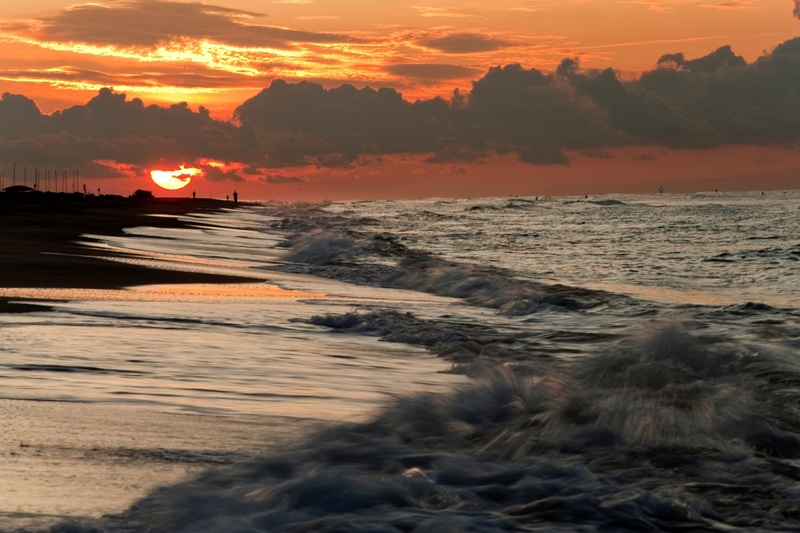 The beach in autumn is the perfect setting to connect with nature, whether it's on a long walk, lying on a blanket on the sand, listening to music, gazing at the horizon or enjoying the sunrise. These little moments fill your soul and recharge your batteries – pleasure for the senses that everyone can afford. The light on an autumn day is one of the most beautiful naturally ocurring phenomena for photographers, professional or not, especially if you cantch it above the sea and sand. As autumn grows, you'll find it hard to keep your camera at home, and you'll end up with images you can frame and hang on your walls, or at least share on Instagram for loads of likes. 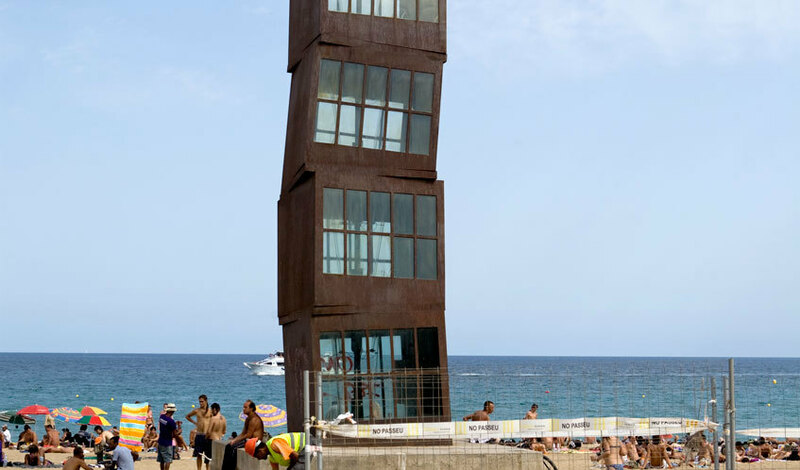 In Barcelona you can make the most of the beach almost 24 hours a day. 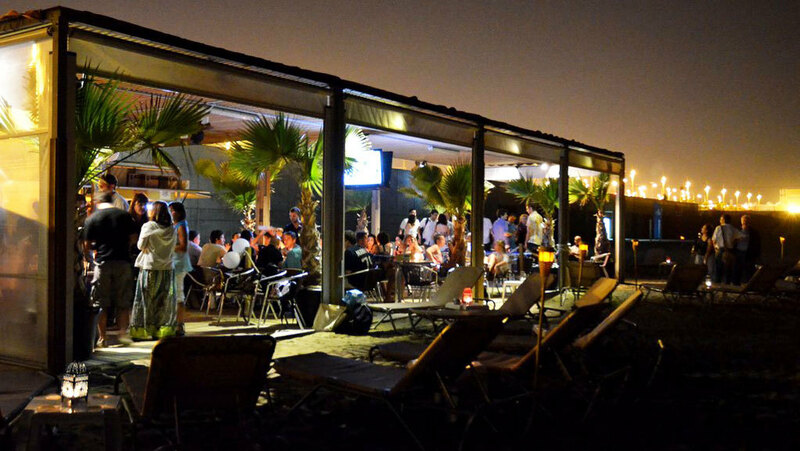 Nighttime is the right time to get out in the fresh air, head to a xiringuito for dinner, grab a cocktail and listen to good music. And it doesn't have to be summer for you to do it, either. 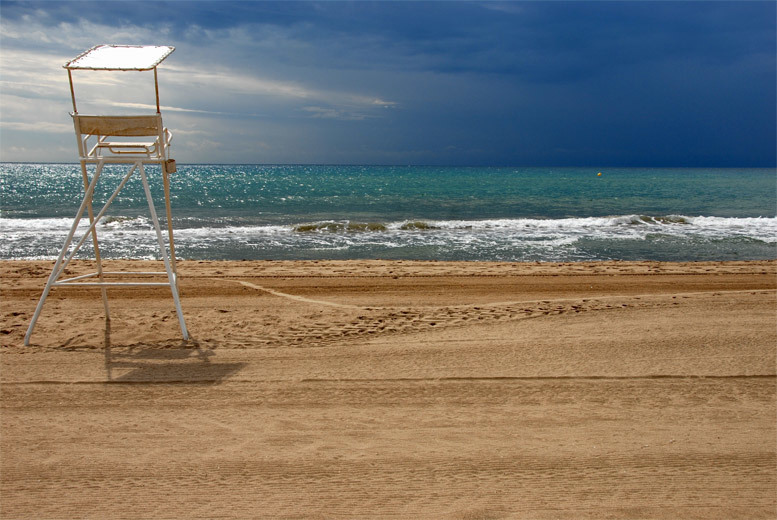 In autumn, xiringuitos such as La Deliciosa in Sant Miquel beach or Blue in San Sebastià beach are open until midnight. Others such as Bambú in Llevant beach and Vai Moana in Bogatell beach stay open even later, until 2am. 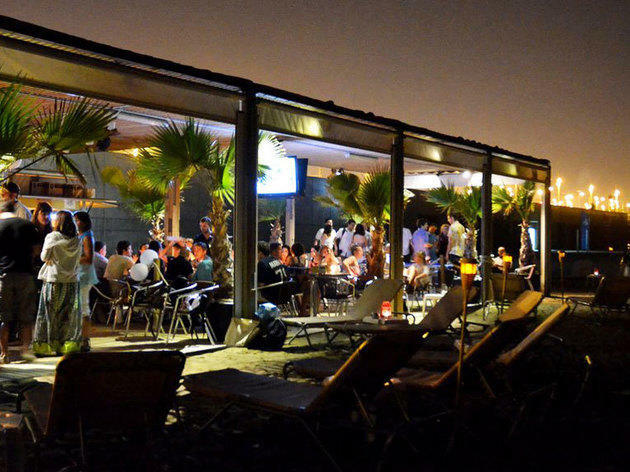 You'll find a great atmosphere, plenty of options for eating, and drinks for all tastes. Summer never ends in Barcelona!